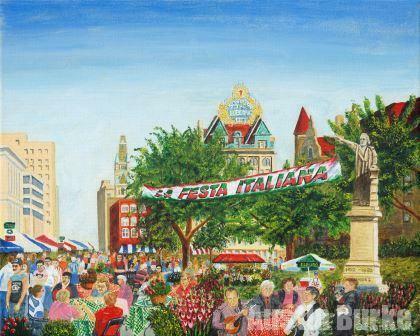 The La Festa Italiana celebration brings tens of thousands of fans of Italian customs and foodstuffs to Lackawanna County Courthouse Square every labor day weekend. 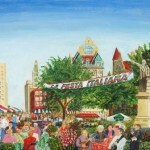 to feature the best of cuisine from all regions of Italy. Souvenirs add colorful wardrobe additions for young and old alike.